Under a shroud of secrecy, China is completing final steps toward the launch of its Shenzhou 11 spacecraft with two taikonauts on board. On Oct. 10, the country rolled out the Long March 2F rocket that will be used to send the crewed mission into space. Although China has not yet disclosed the exact date of the liftoff, it is predicted the rocket will launch around 7:30 a.m. local time on Oct. 17 (23:30 GMT Oct. 16; 7:30 p.m. EDT Oct. 16) from Launch Area 4 at the Jiuquan Satellite Launch Centre in the Gobi Desert. 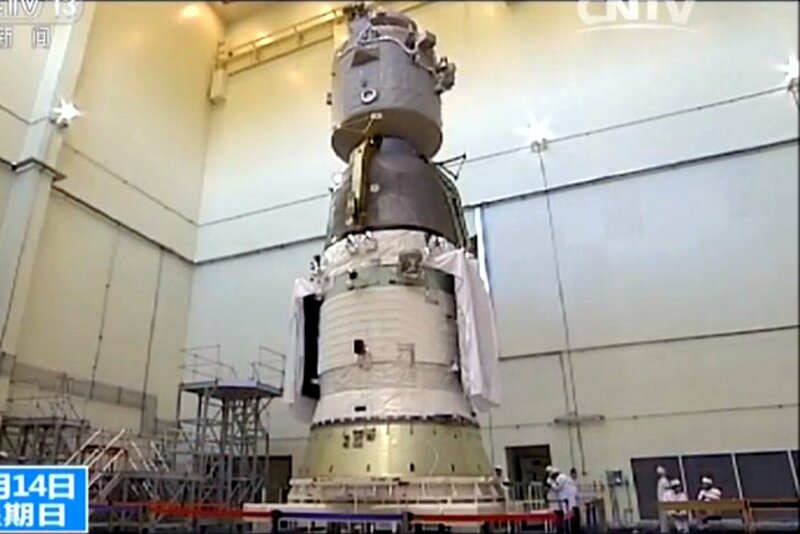 Shenzhou 11 will be China’s sixth manned space mission. The long-anticipated flight will end the country’s three-year period of absence in human spaceflight. The country’s last crewed vehicle, Shenzhou 10, was launched from Chinese soil in June 2013. Although the mission is of high importance for China, officials are very reluctant to reveal details about the upcoming flight. To date, only a handful of information has been disclosed about the crew of Shenzhou 11. It was announced two male taikonauts will fly aboard the craft; however, their names have been kept under wraps and could be announced only hours before liftoff. Keeping in mind the requirement that Shenzhou missions always include an experienced taikonaut, NASASpaceflight.com speculated the most likely candidates are the following: Liu Boming, a veteran of Shenzhou 7 and the commander of the Shenzhou 10 backup crew; Liu Wang, who flew on Shenzhou 9; or Zhang Xiaoguan, a member of the Shenzhou 10 crew. The site also reported the second taikonaut is even less certain as it could be occupied by someone with spaceflight experience or an unflown member of the original 1998 group, such as Deng Qingmin or Pan Zhanchun, who both were part of the Shenzhou 10 backup crew. Regardless of the composition of the flight crew, the Shenzhou 11 mission will be sent into space with a clear goal of docking with the Tiangong 2 orbital laboratory that was launched a month ago. The spacecraft is slated arrive at the space lab two days after launch. The taikonaut duo will enter Tiangong 2 and stay inside for 30 days, testing advanced life support systems and conducting various science experiments. It is expected to be China’s longest stay in space to date. The two-person crew will probably return to Earth on Nov. 14. In order to enable a month-long stay in space, China decided to downsize the crew from three to two. Previous missions, like Shenzhou 9 and Shenzhou 10, consisted of three taikonauts orbiting the Earth for two weeks. “This is going to provide evidence of astronauts’ long-term stay in space for the development of China’s space station in the future,” Lei Fanpei, chairman of the China Aerospace Science and Technology Corporation (CASC), told CCTV. China hopes Shenzhou 11, together with Tiangong 2, will bring the nation closer toward building its own permanent space station. They will enable testing on key technologies before sending a larger module into orbit. That station is expected to be built sometime between 2018 and 2022. The start of the Shenzhou 11 mission was postponed several times as its launch was dependent on Tiangong 2, which suffered a series of delays. The first rumors about a more exact launch date appeared in November 2013 targeting May 2016 for liftoff. 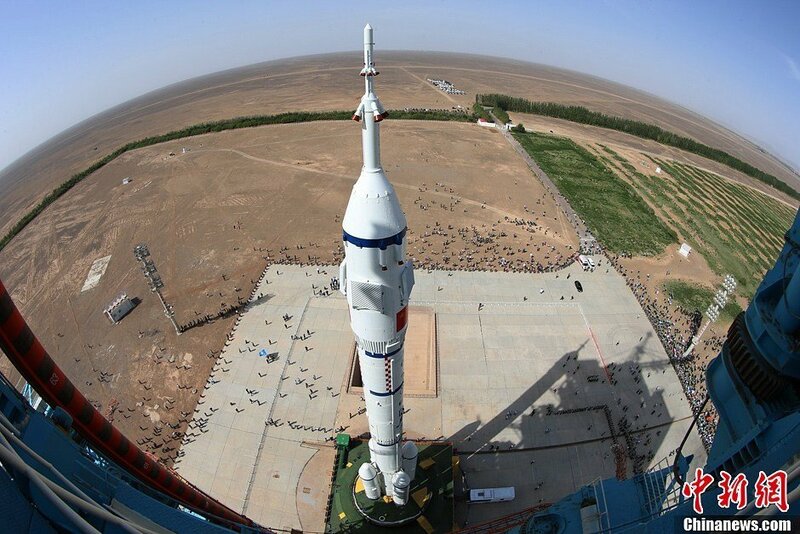 The mission campaign commenced on Aug. 3 with the arrival of the Long March 2F rocket at Jiuquan. The launch vehicle was delivered from Beijing by train, while the Shenzhou 11 spacecraft was transported on Aug. 13 from China’s capital city to the space center by airplane. With both the rocket and the spacecraft in place, engineers began a period of pre-launch activities, including initial tests and checkouts. However, very little is known about this phase of preparation as the Chinese media have not revealed any details regarding these operations. It was only revealed that the rollout of the rocket, from the assembly facility to the launch site, was carried out on Oct. 10. The first Shenzhou spacecraft was sent into space in November 1999. It was an unmanned automated test flight, as were the next three Shenzhou missions conducted between January 2001 and December 2002. The Shenzhou 5 mission, launched in October 2003, was China’s first manned spaceflight. The spacecraft sent Yang Liwei into orbit for about 21 hours, making him the first Chinese national to fly into space. Two years later, the Shenzhou 6 spacecraft delivered a two-person crew into orbit on a 5-day mission. Three taikonauts were launched by China for the first time in September 2008 aboard the Shenzhou 7 vehicle. 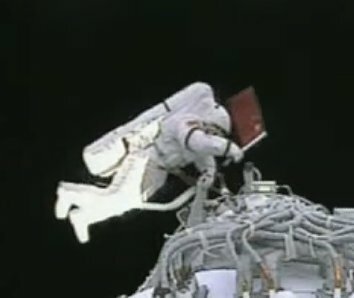 During this mission, Zhai Zhigang performed the first Chinese spacewalk. From 2011 to 2013, the country conducted three Shenzhou missions, one every year. Shenzhou 8 launched in October 2011 and was an automated test of rendezvous and docking with Tiangong 1, China’s first space laboratory, which was delivered into space one month earlier. Shenzhou 9 and Shenzhou 10 both carried three-person crews and both docked to the Tiangong 1 lab. Shenzhou 9 was launched in July 2012, while Shenzhou 10 in June 2013. Tiangong 2 was launched into orbit on Sept. 15, 2016. It will enable testing of key technologies before sending a larger module into orbit. Besides being visited by the Shenzhou 11 crew, the laboratory will dock in April 2017 with the new Tianzhou 1 cargo ship that will deliver fuel and supplies. The 170-foot (52-meter) tall Long March 2F rocket, which will be used to launch Shenzhou 11 into space, is 11 feet (3.35 meters) in diameter and weighs around 464 metric tons. It is a two-stage rocket capable of sending up to 8.4 metric tons into a low-Earth orbit (LEO). For launch, the rocket will fly in 2F/G configuration that was specially designed to launch space laboratories such as Tiangong. It features a launch escape system and has a larger fairing to accommodate larger payloads. The rocket’s first stage is 78 feet (23.7 meters) long and 11 feet (3.35 meters) in diameter. This stage is fitted with four YF-20B engines burning for 2 minutes and 46 seconds. Four strap-on boosters are attached to the first stage, powered by one YF-20B engine each. The second stage – 44 feet (13.5 meters) long and 11 feet (3.35 meters) in diameter – is equipped with one YF-24B engine. During the flight, this stage burns for about five minutes. Monday’s launch will be the 237th flight of the Long March rocket and the 15th orbital mission conducted by China this year. The next Chinese missions are currently scheduled for November. The country plans to conduct a maiden flight of its Long March 5 booster before conducting one launch of its Long March 2D rocket, carrying the country’s Hard X-ray Modulation Telescope. However, China has launched many missions unannounced. An unexpected liftoff could be carried out in October. Humanity rarely has even one spacecraft ready to leave Earth; it currently has two: this spacecraft, and Soyuz MS-02. Perhaps someday, people will be able to jump into their spacecraft and leave Earth with as little preparation as they now need to go on a road trip. Please note that the photo at the top of the article is one of my photos of my model.